Whether you’re moving into a new place, or you’re just ready for a re-imagining of you’re existing space, visualizing how that Ikea sectional will look against that wall over there can be tough. You’re faced with a lot of choices: paint color, furniture, accent pieces, the list goes on. Ever wonder what it would be like to style a home, a la Joanna Gaines, using that nifty computer program you see on Fixer Upper? I know I do! With the use of virtual technology becoming more mainstream (you can buy your own VR goggles at Walmart or Target for less than $20), shouldn’t it be possible to step into the room of your dreams using just an app? Fortunately the fine ladies and gentlemen over at Houzz have launched an app that does just that. It makes your interior design process feel almost like playing a video game. 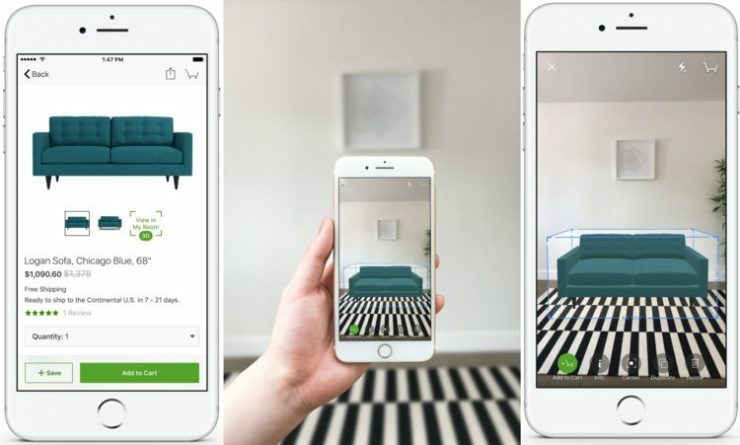 The View in My Room 3D app is now available for iphone/ipad platform, and allows users to preview how more than 300,000 pieces of furniture and decorating products will look in their particular space. The app is fully integrated with Houzz, so you can save items to your idea book, and even shop for products by clicking on them. How exciting is that?! Check out the video below! Another option for android and iphone users alike is the Planner 5D Planner VR app. The app allows you to enter the dimensions of your space to create a floor plan, and then choose furniture from a database of linked catalogs (such as Ikea), and virtually move the furniture around to preview how it will look. Um…awesome. If you don’t want to commit to downloading the app, you can even try it out from your web browser. Check out the video!